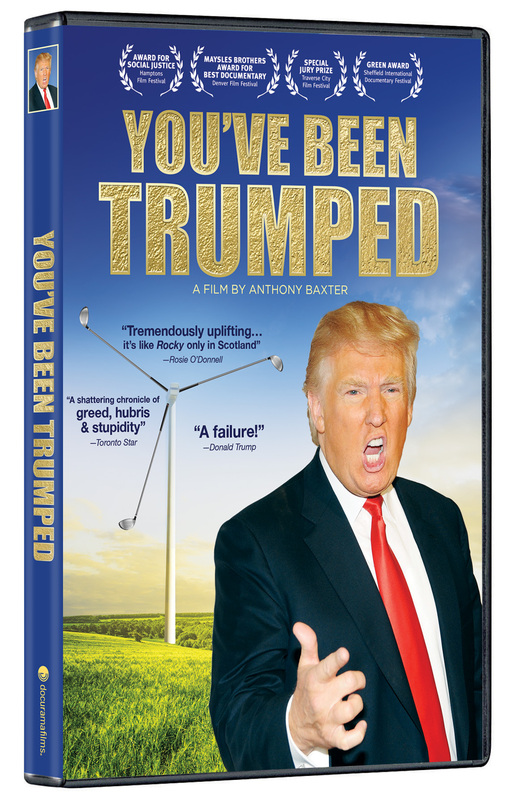 In this David and Goliath tale, a group of proud Scottish homeowners take on Donald Trump as he gets set to destroy the crown jewels of Scotland’s national heritage in order to build a luxury golf resort. The local residents make their last stand in the face of police harassment, constant legal threats and interruption of their water and electricity. Director Anthony Baxter himself becomes international news after being thrown in jail. 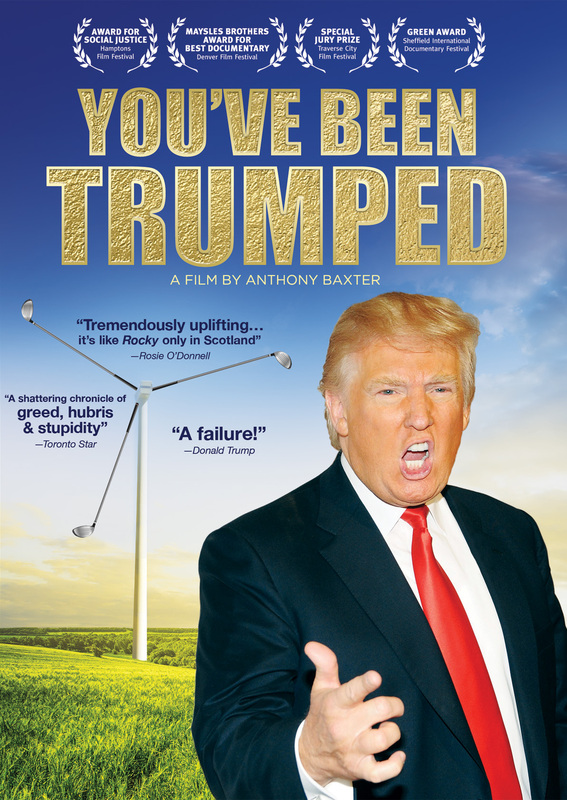 The film captures the cultural chasm between the glamorous, jet-setting and media savvy Donald Trump and a deeply rooted Scottish community. For the tycoon, the golf course is just another deal, with a possible billion-dollar payoff. For the residents, it represents the destruction of a globally unique landscape that has been the backdrop of their lives. 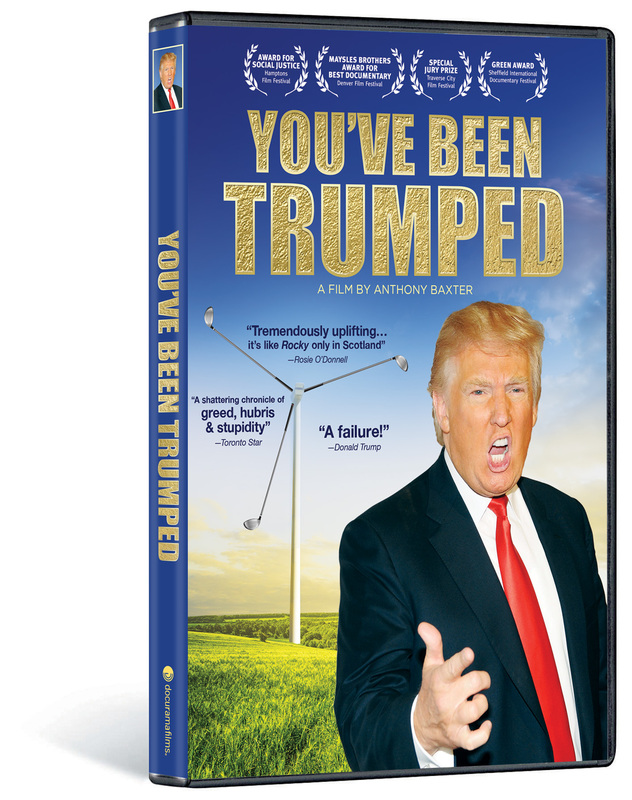 At turns funny, inspiring and heartbreaking, YOU’VE BEEN TRUMPED is both an entertaining, can’t-believe-it’s-true tale and an environmental parable for our celebrity-driven times. © 2011 Montrose Pictures, Ltd. All rights reserved. Art and Design © 2013 New Video Group, Inc. All Rights Reserved. Marketed and distributed in the U.S. by New Video.